How to Invest Your First Rs 1,000 in The Stock Market? Learning how to invest your first Rs 1,000 in the stock market is a significant step towards starting your financial journey and future investments. You might be surprised to know that even less than 2.5% population of India participates in the Indian stock market (although Indian economy is one of the fastest growing economies in the world). Nevertheless, investing your first Rs 1,000 will help you to get prepared for your journey ahead. In this post, I’m going to tell you the simplest answer of how to invest your first Rs 1,000 in the stock market. It’s a no-brainer way. 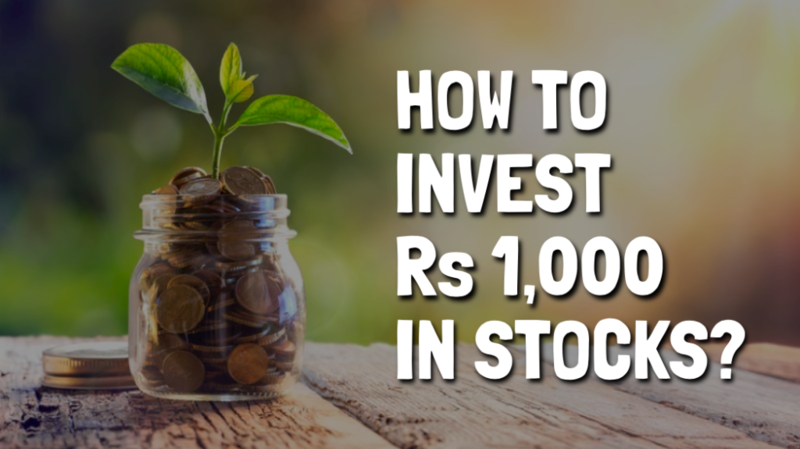 Further, for the method described here, you don’t need to be an expert or any help from the financial advisors to invest your first Rs 1,000 in the stock market. Quick Note: Here, I’m not going to discuss how to open brokerage accounts. I’m assuming that you have already had set up your demat and trading accounts. If you haven’t, then read this post to learn how to choose the best stock broker. While interacting with my blog readers and subscribers who are new to the stock market, I learned that most of the first-time investors like to wait until they have amassed thousands of rupees to invest. However, that’s a mistake. You can start investing with an as little amount as Rs 1,000. 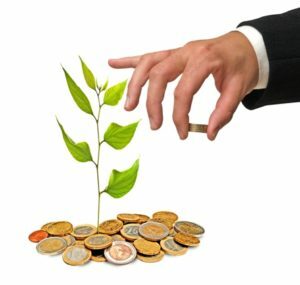 Further, you can increase the investment amount in future when you have increased your savings. By following this strategy, you can utilize the time efficiently to learn the stock market so that you will be prepared when you invest a big amount in future. Second, you do not need to be an expert to invest your first Rs 1,000 in the market. You can invest this money while you are learning or even if you just started a few weeks ago. Third, the point here is to learn- not to earn. Rs 1,000 is not a very large money that will get you bankrupt if you lose this amount. However, Rs 1,000 is more than enough to make you enter the exciting world of stock market and enhance your financial knowledge. In addition, do not worry about the technicalities like how to buy/sell using your trading account initially. Once you are ready to invest, you can learn all these within 20 minutes using different sources on the internet. (I have also written a couple of articles on how to invest using ICICI direct, SBI smart etc). These days, purchasing stock is even a lot easier compared to booking an online train ticket on IRCTC. All you need is a phone/laptop, internet connection, brokerage accounts and some cash in your saving account. Now that I’ve cleared the basics, let’s learn how to invest your first Rs 1,000 in the stock market. Further, please read this post till the end as there is a bonus in the last section of this article. Rs 1,000 is not a big amount. If you are buying a stock worth Rs 300, then you will be able to buy just three units of that stocks. Moreover, those stocks which are trading at a market price above Rs 1,000 are already ruled out here. 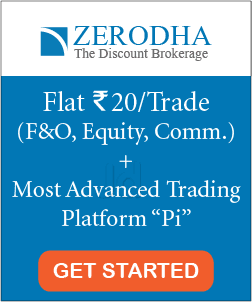 Therefore, if you are planning to invest your first Rs 1000 in the stock market, then you need to widen your selection criteria to the stocks pricing between Rs 1 to Rs 1,000. Otherwise, you might have to reject many good stocks whose market price is high (Say 800-900), if you are planning to purchase multiple stocks. Further, for such investment amount, you do not need to waste time diversifying your portfolio. Selecting multiple stocks takes time and it’s not worth the value. The easiest approach of stock selection for the beginners is to invest in what you know. There are a number of companies that you might have heard from childhood and might already know a lot about it. 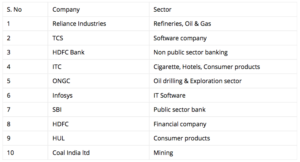 For example- Maruti Suzuki, HDFC Bank, ITC, Yes Bank, HPCL, Bata, Coal India, Colgate India, Hindustan Unilever etc. There are tons of companies whose products/services you already have been using and might be more than happy with them. Find out those companies and investigate them. Visit the company website, check its portfolio (product/services), know who is the boss of the company, its future products/plans etc. You’ll be surprised to know that how many common companies has given uncommon profits. The bottom line is to look around yourself and find some popular companies worth investing. Search for the companies that you already know that they are doing great (like expanding at a fast rate) for the last couple of years or provide excellent product/services or has an amazing business model (easy to scale). If you are a working guy/girl, it will be quite easy for you to find such companies. Just look in your industry and find which one is leading. For example, if you are in the banking sector, you might already know which bank is expanding fast in urban and rural areas, opening new branches every week and has low non-performing assets (NPA) etc. If you are a doctor, you might already know few good pharmaceutical companies which are producing the best medicines at a cheap price or are working on the medicines for a rare disease. Even if you are a housewife, you can find a number of good companies that manufacture day-to-day life products like soap, shampoo, towels, edible oils etc. In short, the idea here is to invest in what you already know rather than wasting too much time reading financial magazines to search hidden companies. Although I’m confident that you find a good company using step 2, however, if you are unable to find any company that you have good knowledge, then invest in blue-chip stocks. 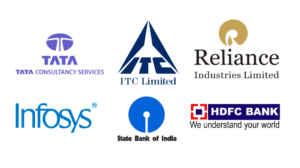 Blue chips are the stocks of those reputed companies who are in the market for a very long time, financially strong and have a good track record of consistent growth and returns in the past many years. The idea here is to ‘not’ waste too much time researching for stocks. This is your first investment and the investment amount is also small. It’s not worth your time spending weeks to research a stock just to invest Rs 1,000. 4. Don’t make it a very big deal. To be frank, do not make this investment a very big deal of your life. The investment amount is too small to hurt you financially. Even if you lose 50% of your investment amount, you won’t go broke. Don’t worry too much thinking what if the stock price goes down. IT’S NOT A BIG DEAL! Here your motive should be to learn, not to earn. If you are able to learn today, you can make tons of money in future. However, if you want to ‘save’ Rs 1,000 today and are not willing to take any risk, you might save this 1,000 rupee, but miss opportunities to earn lakhs in future. Stay calm and enjoy the ride. Penny stocks are those stocks which trade at a very low market price (less than Rs 10) and have a very low market capitalization (typically under 100 crores) are called penny stocks in Indian stock market. These are the darlings of the new investors. The low market price of these stocks makes them quite attractive to the beginners. However, these stocks are very risky. You might have never heard the names of most of these companies and very limited information about the company is available to the public. The stock prices of these companies are easy to manipulate. Overall, penny stocks are difficult to investigate for a newbie investor. My advice, stay away from penny stocks until you have got good knowledge and experience in the stock market. This is my final advice. Do not expect high returns while investing your first Rs 1,000 in stocks. Stocks are not ‘lottery’ tickets. Even if you get a return of 100% in 6 months, still you will make a profit of only Rs 1000 (Rs 166 per month on an average). This isn’t going to affect your life financially. Until the investment amount is large or the principal is invested for a long duration (power of compounding), the returns won’t be too big to affect you financially. 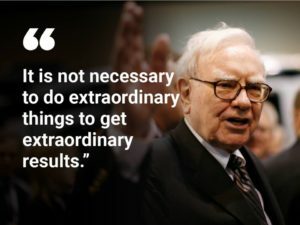 That’s why mark my words and set a realistic expectation for your first Rs 1,000 investment. Before you invest your first Rs 1,000 in the stock market, why not to find out how good is your investing instincts? Try it out with this FREE Quiz NOW…!! Do you consider yourself a ‘Smart Investor’? Well, your success in the stock market depends on how you invest and react to different market situations. Here are 10 questions to put your 'Investing Instincts' to test. One thing I can take guarantee is that your experience after buying your first stock will be amazing! Trust me, you’ll get more involved in the market if you have some money is invested in it, no matter how small it is. 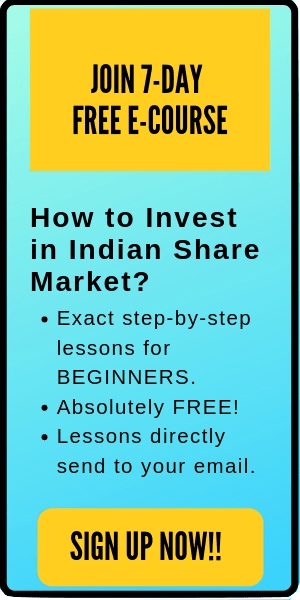 By investing your first Rs 1,000 in the market, you will learn ‘fast’ and learn ‘efficiently’. Moreover, as discussed in the post, investing is not a rocket-science, rather it’s quite simple to invest your first Rs 1,000 in the stock market if you follow the steps described above. I hope this post on- “How to invest your first Rs 1,000 in the stock market?” is useful to you. If you have any questions or doubts, feel free to comment below. I’ll be happy to help you out.